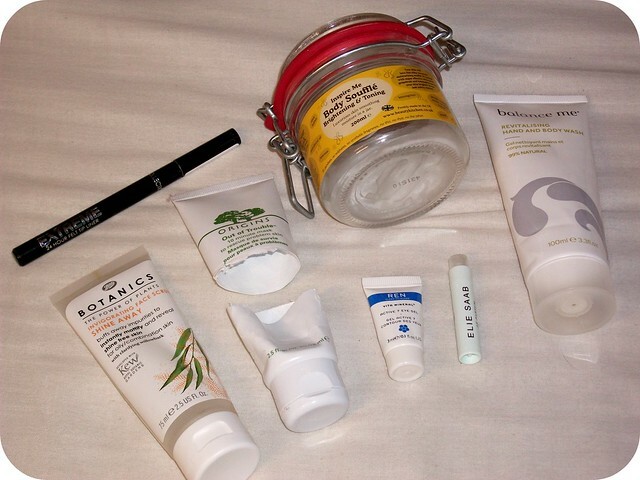 Will Repurchase: Origins Out of Trouble ™ Face Mask | I bloomin' love this mask! It's brilliant for really calming the skin down, soothing any redness or irritation, and helping blemishes to heal more quickly. It has quite a strong smell which I'm not keen on, but I can live with it for how much my skin loves it. // Collection Extreme 24-Hour Felt Tip Liner | Check out my retro review there! I love this just as much as I ever did; it's super black, easy to use, and the pen lasts ages without drying out. I don't wear eyeliner every day but this never lets me down when I reach for it, and I'll definitely pick it up again in the future. // Balance Me Revitalising Hand & Body Wash | I loved the fresh & zingy scent of this body wash, which came as a magazine freebie a few months back, and I actually did pick up a second tube while it was still available. I think this is really reasonably priced to buy, too, so I will probably buy it again in the future. Might Repurchase: Beauty Kitchen Inspire Me Brightening & Toning Body Soufflé | I really like the Beauty Kitchen range and the Inspire Me products smell gorgeous. This hydrates nicely, although I'm not sure about the brightening and toning claims. I have a lot of body butters and similar products to use up before I even consider repurchasing this! // Boots Botanics Shine Away Invigorating Face Scrub | I'm falling out of love with physical exfoliants, in favour of chemical products which achieve similar effects without damaging my skin (or the environment, in the case of microbeads!). This was an okay scrub but nothing amazing, and it didn't seem to keep my skin any less shiny as it claimed, though I did only use it once or twice a week. // Elie Saab Le Parfum Eau De Parfum | A sample vial from my Latest in Beauty Build Your Own Box*, this was quite a grown-up fragrance by my standards, but I really enjoyed its notes of orange blossom and jasmine. Won't Repurchase: REN Vita Mineral Active 7 Eye Gel | I wasn't wowed by this at all (I do often seem to be underwhelmed by REN products, somehow) and didn't really find it to do anything much for my eye area; I'm only really looking for hydration as I don't have any major lines yet, but this fell short for me. The gel texture was nice but that's not really enough! • Run at least once per week. I decided not to push my luck on this one after injuring my ankle pretty badly in mid-May (it's still quite stiff, six weeks later!) and didn't run until the middle of June, but I have run at least once a week since then, so I half-succeeded?! I did quite a long run this week (well, 4.5 miles!) and although I walked a fair bit of it, I was really proud of myself and I'm looking to build on that into July. • Finish the month at least £350 from the bottom of my overdraft. I actually finished around £500 from the bottom - still pretty overdrawn, but I'm proud of this one! I've also paid off the last instalment of the loan my Dad gave me to buy my car this month, so clearing the overdraft and starting to put a bit more money aside in my savings account should get easier from here. • Have a major sort-out of clothes & books. I read The Life Changing Magic of Tidying early on in the month, which really inspired me to have a good sort-out of my clothes, taking two bags to the charity shop. There's still work to be done (as in, I've not touched the books yet...), but I do feel like I've made good headway on this one! • See friends at least twice. I met up with an old school-friend for lunch before work one day, and had a whole weekend of reunion with Warrior friends at the first Total Warrior event of the season in Leeds last weekend. I also had a quick drink with a few friends the other night, which was lovely - time seems to fly these days and before I know it, it's been two months since I've seen someone! • Take part in this Instagram challenge. I didn't complete all the days (I was probably never going to, let's be honest!) but I did have fun taking part in this little challenge, which has helped me to post more consistently on Instagram. I've also discovered some fab new accounts to follow! You can see my snaps @JesssRawr. • Get a job. Success! I went for an interview on the 2nd, was offered the job, and quit my current job the very same day! I cannot express how pleased I am about this! Today is officially my last day in my current job, although I've decided I'm going to stay as a casual staff member, purely to keep my options open as my new job is only a six-month contract to begin with. I don't have a start date for the new job yet (the joys of waiting for health checks and DBS clearance...) so I'll be doing a few more shifts in the meantime. How gorgeous is the Jaclyn Hill x BECCA collaboration!? 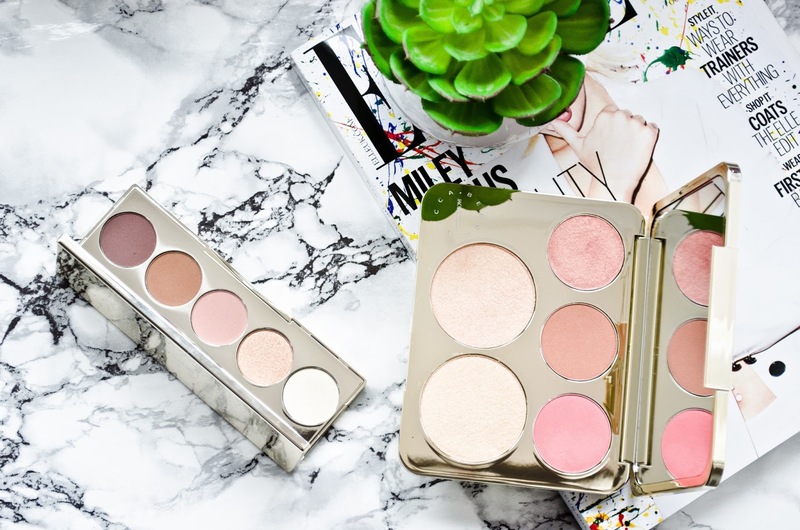 I was so disappointed by the eye palette being withdrawn and all the fuss around it, as it looks beautiful - but either way Kristina's photos of the products are just stunning. 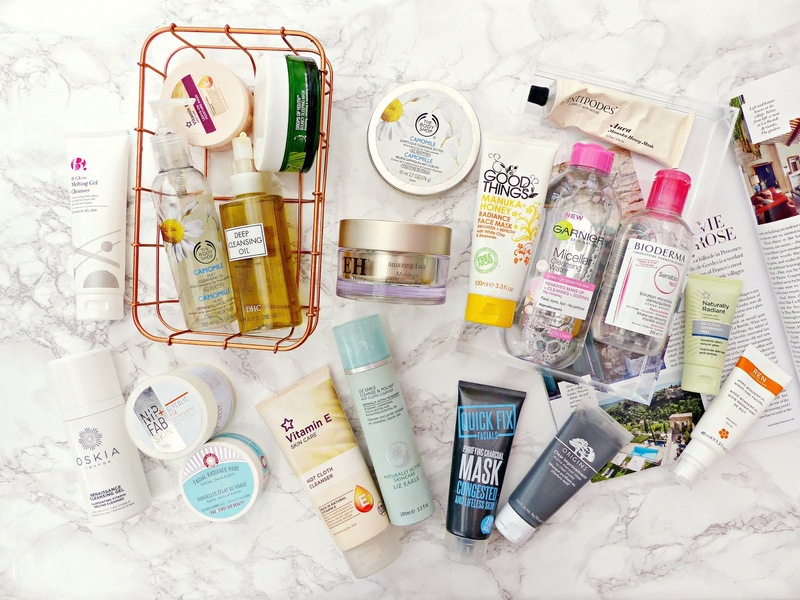 Jasmine posted about affordable dupes for cult skincare products, sharing her thoughts on a number of alternatives and whether she'd make the switch! I love posts like this as I'm all about dupes and saving pennies where I can. As an aside - Jasmine's photos are always so gorgeous, I have such bad photo envy whenever I read her posts! Here on The Indigo Hours, meanwhile, my favourite posts this month include my review of Benefit's Goof Proof Brow Pencil (which you can still pick up for free with Elle magazine for a few more days! ), the products in my Summer Skincare Routine, and the products in my Latest In Beauty Build-Your-Own Beauty Box! Do pop on over and check them out if you missed them, I'd love to hear your thoughts. It's been a fairly busy month, what with my interview and all the following paperwork for leaving my existing jobs and getting started with the new one... I don't really speak a lot about politics here on my blog but I don't feel I can not mention the EU Referendum - I was so upset with the outcome and still am, I am honestly really worried about how things are going to go from here. Aside from that though I've had quite a good June. How has your month been? Have you achieved any of your goals? 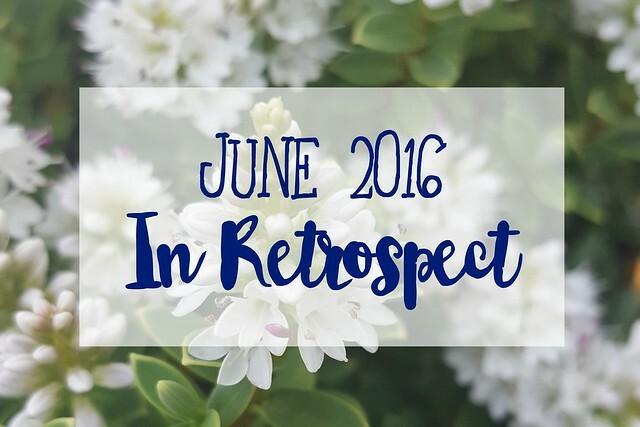 I'd love to hear what you've been loving in June! I really enjoy posts like this that consist of a mish mash of bits! Congratulations on your new job and ohh those maroons looks incredible! I had a lot of stress in June so it's good to hear that somebody had a better one. Well done on achieving those goals! I did get a book published in June so that's a thing I guess. But all in all, bring on July. I've also been rather upset over the EU Ref. It's such a worrying time we live in now. p.s I love Balance Me Revitalising Hand & Body Wash! I really would love to run once a week, but I hate getting sweaty or being out of breath so it will never work for me! Congrats on paying off the over draft too!! Mine is exectly where it has always been , megaaaa over drawn!! Love the beauty aspect of this post, I really rate Origins products too.